Happy to hear of your positive experience. We thrive on making our customer's dream kitchens come true. Thank you! 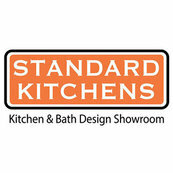 Thank you for choosing Standard Kitchens for both your kitchen and bath projects. Call us again for any future needs. Enjoy! Relationship: I contracted with Bouwkamp Builders to build my house and they recommended using Standard Kitchens. Thank you for the kind words JoEllen. We hope you enjoy you kitchen for many years to come. Beautiful kitchen! May it give you many years of joy. Let us know if we can help you again in the future. Thank you! We love bringing our customer's dream kitchen to life. Enjoy your kitchen! Glad you're liking your finished kitchen. May it bring much joy to you and your family for many years to come. Thank you for your continued business. We enjoy building lasting relationships with our customers. Thank you for the kind remarks. Enjoy your new kitchen! Thank you for the kind words. Need anything else, just give us a call. Thank you for your comments. Hope you receive much enjoyment from your new kitchen.